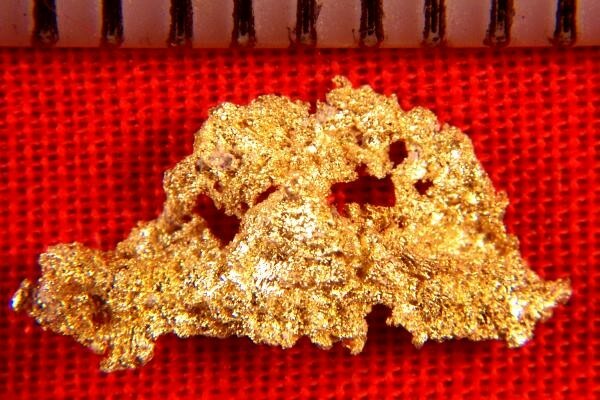 From the famous 16 to 1 Mine in Alleghany, Sierra County, California, this is a super nice Crystalline Gold Nugget. The crystalline structure is incredible and the color is awesome. 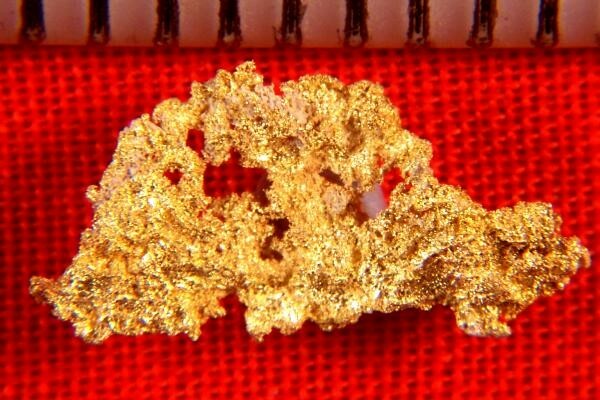 This natural gold nugget is really gorgeous . The size is over 1/2" long and it weighs 6.1 Grains (0.40 Gram). A really beautiful gold specimen for a very reasonable price.